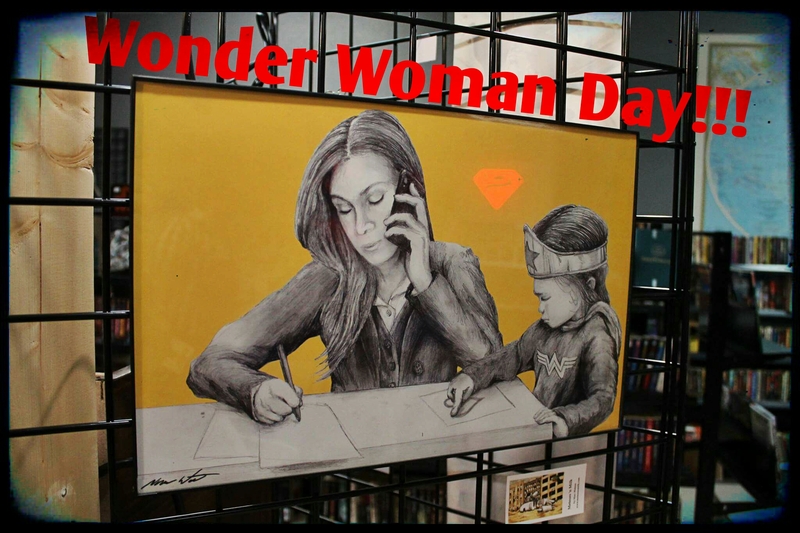 Today is Wonder Woman Day and as promised I am going to show a little from the two shows I am in and the great people that attended, artists and fans alike. First up is Barnes and Noble at South Plains Mall. Those of you that have been following me for years may recall I used to be a featured artist for Starbucks so it is interesting that almost 5 years later I would be showing with one of their partners. The response is already really great. So now for the show at Star Books and Comics Downtown! It was an amazing show. A good portion of the images were taken by the talented Rony Dixon and the show was created, organized, and run by Raicodoll. Check them out here Rony and Raicodoll. You can also check out there amazing coverage of the show and all the artwork from it by visiting the shows album HERE!!!! Thank you again everyone for being amazing fans and friends. I will see you on the next page….